With 25 years of visual special effects under his belt, Ari Rubenstein is a pioneer of his craft. 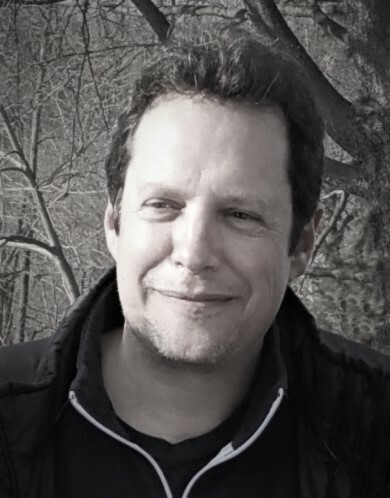 Ari has worked on The Matrix Trilogy, Constantine, Charlotte’s Web, Ice Age, Hellboy, and Rio franchises. We are thrilled to talk with Ari and learn how YellowDog is a part of his evolution as an artist with his latest project: The Blues Crab. The ﬁlm “The Blues Crab” is a passion project that brings together my love of Delta and Chicago Blues and the Chesapeake Bay, where I grew with fond memories ‘crabbing’ as a kid. I had watched the music documentary ‘Muscle Shoals’ which featured all of this seminal music cinematically married with the backdrop of Alabama’s natural environment; it reminded me of the Chesapeake and helped to inspire the idea for this ﬁlm. I have an insatiable appetite to produce expressive VFX work. I know that there are artists across the globe who also want to contribute to the arts but don’t necessarily have the means nor access to. 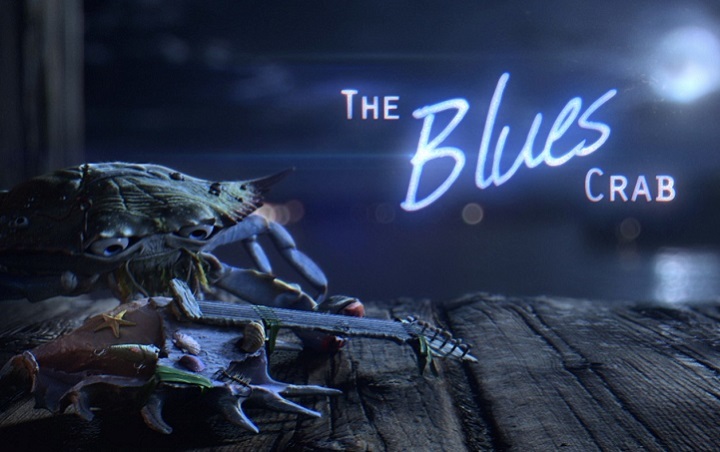 The Blues Crab was intended to become a vehicle for those who would contribute to it: creating opportunities in the visual eﬀects and animation industry for them. What is different about this film? The Blues Crab isn’t just a creative ﬁlmmaking eﬀort; it is a technological exploratory which strikes out on several innovative fronts. One would be 3D Production Rendering within a Compositing application as an evolution of Visual Eﬀects Production. The Blues Crab is, as far as I know, the ﬁrst ﬁlm rendered entirely within a compositing application: Nuke. Up until this point, 3D Rendering within Compositing has been utilized for look development on ﬁlms to inform the standard pipeline with a more eﬃcient workﬂow, but not as an end in of itself. Chaos Group, with V-Ray for Nuke, allows Compositors, Generalists, and Digital Matte Painters the ability to create concept to delivery solutions without the requirements and impediments of an entire pipeline. Add to that YellowDog’s innovative Cloud Rendering platform and you also have a way to produce all those shots on thousands of cores, triggered securely from any location in the world that is internet connected, and without the need for a physical render farm in a studio. This whole project is designed to open up possibilities for more intense look development, more iterations, and ultimately more reﬁned ﬁnal results. How did you come up with the idea for The Blues Crab? At that moment, ideas began to develop and they combined with my ambition to use some new technologies and techniques I was excited by. I had been looking at V-Ray for Nuke for a couple years but hadn’t had the opportunity to use it. It occurred to me that it might be capable of doing an entire film and not limited to how it has been in look dev on individual shots and sequences. In terms of farming the renders, I needed something that was going to be easy to use but really fast and YellowDog was the perfect option. Why Cloud for the rendering? Why YellowDog? Cloud was a natural selection for the rendering. I wanted to do something at scale that could be produced without the need for a traditional pipeline. Cloud rendering is hot right now with most top studios adopting it at times of need but I think there is still some way to go to displace the status quo of buying a bunch of servers and running them as a studio’s own personal datacentre. Not only did Cloud offer the project scale, it offered flexibility too. When we’re not rendering, we’re not paying for anything. And when we are rendering, we can crank up the speed as high as we want to. V-Ray for Nuke is a new approach at this scale so I needed a Cloud render solution that was versatile, had credentials with V-Ray, but was also easy to use. The YellowDog render platform was the best choice – from ease of use, to speed, to their incredible technical team. Do you see V-Ray for Nuke as a viable pipeline for volume production? Well, this entire film is done with V-Ray for Nuke and rendered with YellowDog so that’s a pretty good sign that it can be. We’ve done 85 shots by setting up a basic V-Ray lighting rig for Nuke with six different modular Compositing stacks to address the primary aesthetics needed. When I render with a targeted set of AOV’s, all the shots turn out pretty much in line. That is a great result. The effects are the areas that need work in V-Ray for Nuke, but that’s the case with all software; it is just how the IO works between the different software when you don’t render within the local app. What were the inspirations behind the aesthetic look? Currently I work in animation at Blue Sky Studios and I’m always admiring the work from our peers and frankly trying to take from what we all do well and push it further. I came across Piper, the brilliant Oscar-winning short film by Pixar. Piper and before that, Blue Umbrella, were two heavy compositing live action aesthetics that Pixar had done that was unlike what they had done before. That really fired me up and I wanted to create a cinematic look with The Blues Crab that attempts to look more gritty, like seventies celluloid but all CG. I’ve always had a taste for busting up the perfectly clean aesthetic of feature animation. And I want to be able to offer something up to the industry that’s a wee bit different. Finally, what’s your favourite blues song? “My time after a while”, by Buddy Guy. Maybe it’s a little bit reflective of my personality. There’s some great lyrics in it like “It’s your time now baby, but it’s going to be my time after a while”. If you’re at SIGGRAPH 2018, see Ari present his V-Ray for Nuke pipeline on The Foundry Stand. Full details can be found in our SIGGRAPH article here.